We are now a week, maybe two, into the Herman Cain boomlet and I still refuse to learn enough about him to have anything worth sharing with you, dear reader, about his candidacy. Some might blame this on ideological animus. But in fact I enjoy learning about lots of people with whom I disagree. No, my real reason for boycotting this topic is a sense of futility (or, if you will, laziness). This electoral season has not been kind to journalists who took the time necessary to acquire knowledge and complex views about hard-right candidates who one minute looked like the inevitable GOP nominee for president and the next minute looked like next year's third-string commentator for Fox News. 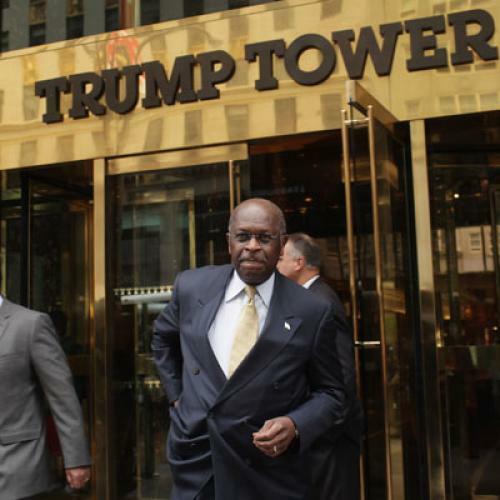 It would be just my luck to develop a finely wrought critique of Herman Cain only to discover, as I sat down to write it up for this blog, that he'd fallen to fifth in the polls. Look, if he becomes something more than the novelty of the week, I'll make an effort. But right now I just can't see how that would be a good use of my time.